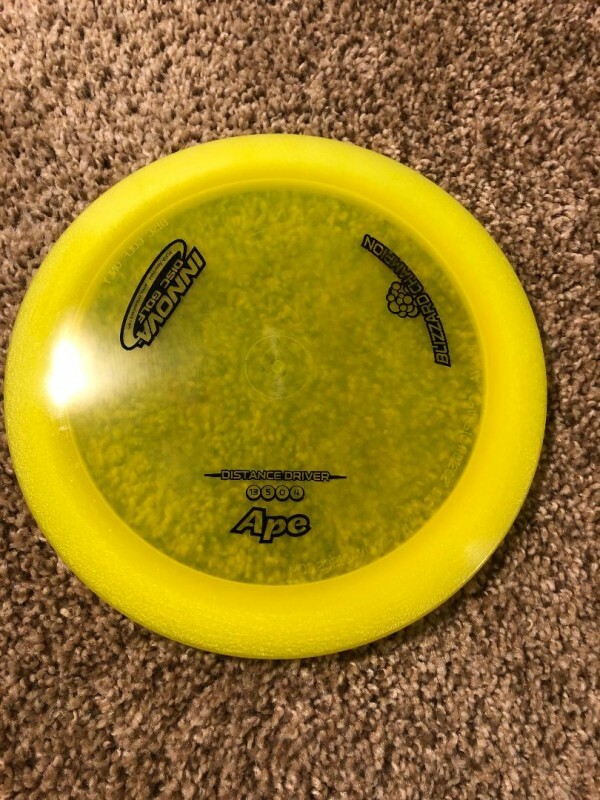 Review: The Ape is designed for ultra power throwers, headwind shots, and strategic dog-leg fades. As a power driver, it is available only in the durable Champion plastic. This disc is also available in lighter weights in the Blizzard Champion plastic between 130-159g. The lighter weight Blizzard Ape is more suitable for players who can’t throw with ape-like force. This is one of our best selling Blizzard plastic discs.